As UFIRST Awards is the management tool, it also supports the ongoing award lifecycle including tracking of changes from the original workplan and budget. Any changes, requiring sponsor approval or allowable internally must be routed through UFIRST via a modification for DSP to review. DSP will assist with identifying whether sponsor approval is required or not and whether or not additional information is required to process the modification. 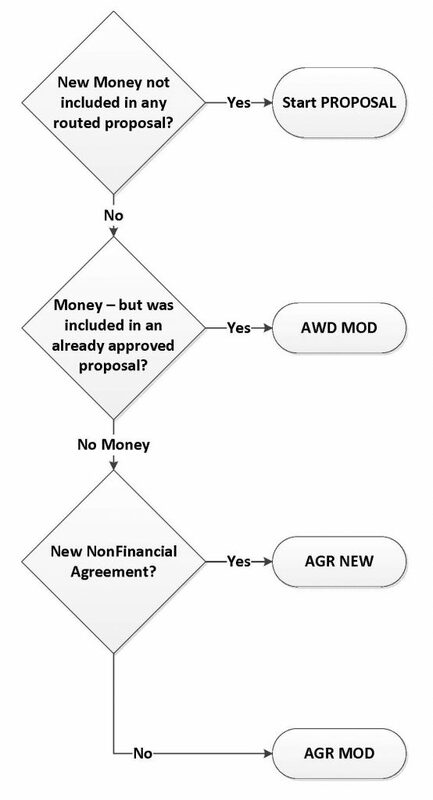 For modifications that add funding NOT originally proposed (i.e. supplements), create a UFIRST – PROPOSAL for the new funding and attach the amendment. For modifications that fund an increment that was originally proposed (i.e. NIH Type 5, DOD Option Periods) and all other award changes not affecting the total award amount, identify the UFIRST Award, create a modification and submit to DSP for Review.